comprehensive race information and functions. Colour coding & editing facilities for ease of operation. Easily integrate a variety of LED signs. to meet the demands of your club. specifically designed to look after modern day kart racing events. Designed to comply with all MSA requirements but most importantly for ease of use for the operator, Tempus has been specifically designed for kart racing, thus providing unrivalled functionality for kart clubs. Supersport Software has been involved in the timing industry for over 25 years, making them the most experienced company in the industry. They currently are the largest supplier to kart clubs and corporate circuits in the world as their products are second to none. Tempus club is a specific software module designed to cope with any size of kart club, it produces various reports all designed to make running a club meeting smother and less hassle. 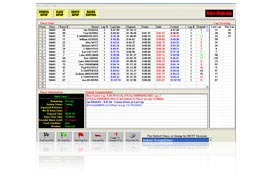 The system has a comprehensive competitor control section which allows competitors to be imported from a separate database, it links seamlessly with Tempus Comp Sec™ or will stand alone and keep basic driver information stored letting the operator flag a driver as racing or not racing each meeting. 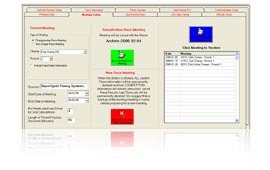 Tempus club has been designed to run on one PC so you no longer need a network of multiple computers to run a club meeting bringing hardware costs down, it has nonetheless network capabilities allowing connection to a designated results computer, Tempus Comp Sec™, Tempus Mini Graphix™ and Tempus Graphix Gold™. Tempus Club will also run a separate screen which displays live race information for your race commentator, a service which has received huge praise by everybody who has seen it. Tempus Club is a significant improvement on the former club timing software which I used, the nature of the software helps make a race day runs far smoother ultimately making my life far easier. As the software is very user friendly I actually get chance to watch some track action, which was why I got interested in kart racing in the first place. Although user friendly the software still retains great functionality with all the reports, exports and information needed by a kart club. Reporting is a vital part of any modern software package, Tempus Club has a variety of reports ranging from standard race end reports, lap charts, transponder pass report (which is an MSA requirement), jump start reports, championship points, race reports which can be sent directly to the media, competitor lists, hired transponder report, signing on sheets and the unique “Individual Driver Reports” which give drivers a visual report of how they progressed during a race. Tempus at the touch of a button will also produce fair heat grids also it will calculate grids for finals the instant the last heat has finished. The software also has communication settings which allows it the power both single line or multiple line LED scoreboards, showing the race progress or custom messages which scroll during the race day. All hardware can be supplied by Supersport or if you already have LED signs the software offers various settings to enable it to interface with your existing signs. 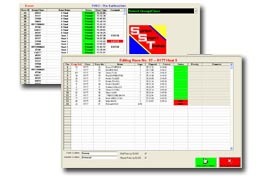 Tempus club is the only software able to upload the comprehensive ERS+ results service on UK Karting website which shows all competitors lap times, starting positions and graphically plots your laps during a race, a service which is already becoming very popular with drivers in the UK.